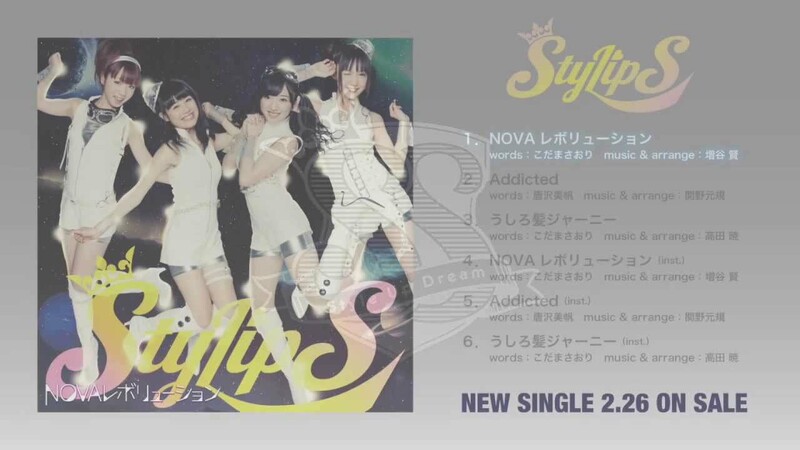 StylipS will release their 5th single titled NOVA Revolution (NOVAレボリューション) on February 26. This is a video containing the previews for all the 3 different song in this single. StylipS was formed in 2011, with the same members from the Tetris promotional unit TEAM DEKARIS, to sing the ending theme song for the 2012 anime series High School DxD, where each member would also lend their voice to a character. The group's debut event took place on December 28, 2011.